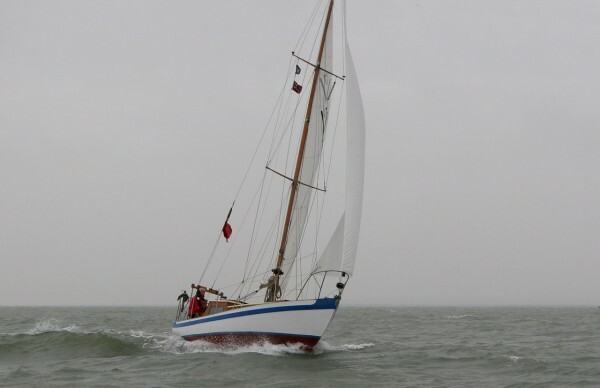 Charles Clutterbuck has e-mailed me to say that he has bought V17 Owendo, and will keep her at Slaughden, near Aldburgh in Suffolk, after a refit has been completed. That’s only one river up the coast from me so hopefully we will manage to have a sail together some time soon. Charles bought Owendo from Michael Woodhouse, who deserves a special mention as the tireless webmaster and secretary of the Vertue Owners web site – http://www.vertueowners.org.uk – which he managed for about 12 years from 2001 to a couple of years ago, when ill health forced him to step back from managing the site. 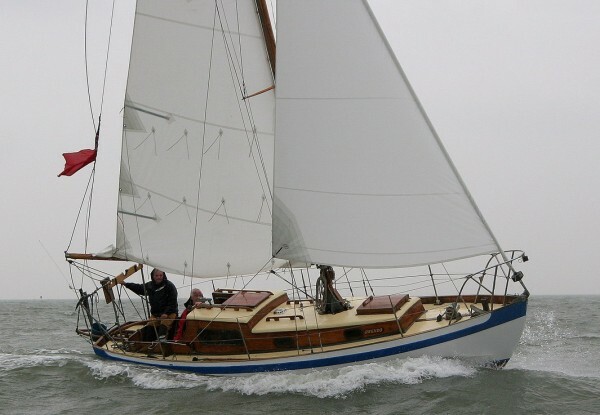 The site is now run by Roger Robinson and his son George, though they have changed the domain to http://www.vertueyachts.com to make it more inclusive (ie: Vertue non-owners/enthusiasts also welcome!). Here is Michael below at the helm of Owendo.